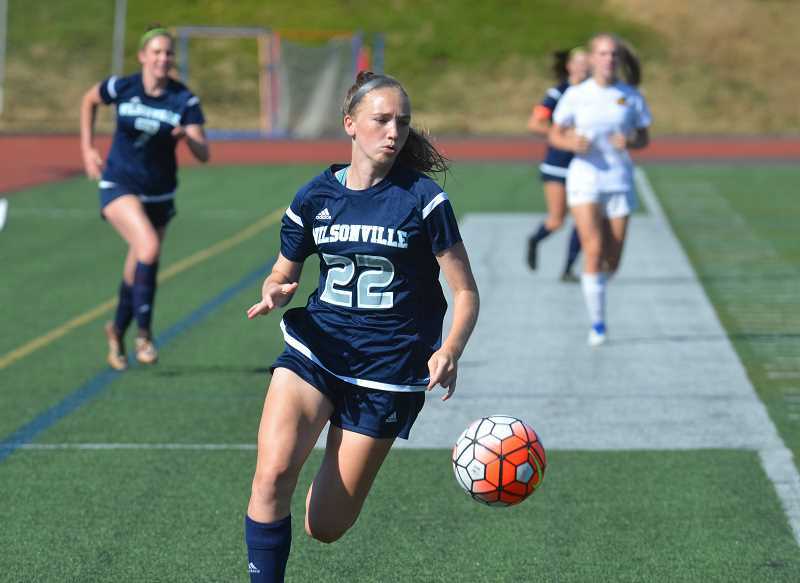 Outlook: This year will be an interesting one for the Wilsonville girls soccer team. The team only graduated two seniors last year, one of whom was all-league honorable mention goalkeeper Sierra Bishop, and will return a whole host of talent. Junior midfielder Araxi Tejeda-Martinez (first team all-league last year), senior forward Teagan McNamee (second team all-league last year), senior defender Sydni Ricketts (all-league honorable mention) and senior Alexis Leon-Guerrero will all return to starting positions this year. In addition, incoming freshman strikers Lindsey Antonson will join McNamee and Leon-Guerrero on the offensive. 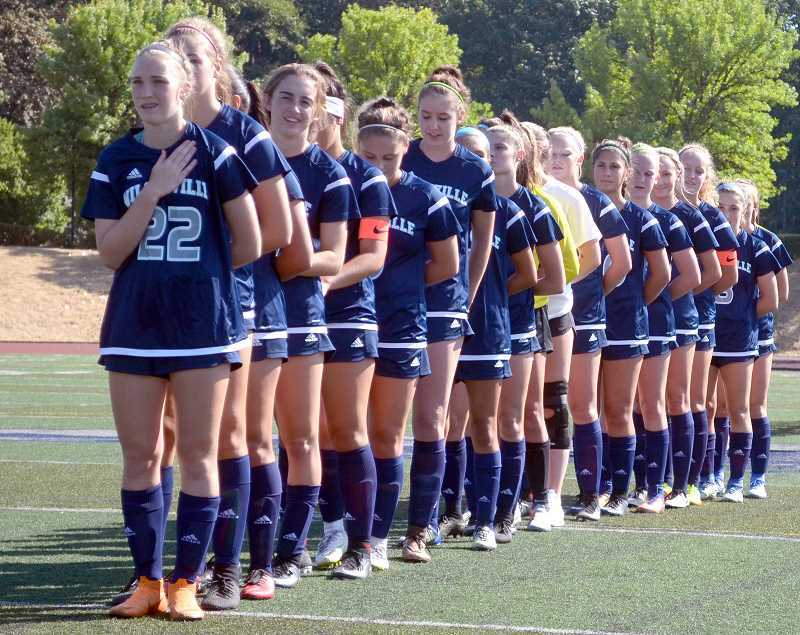 Wilsonville head coach Dwight Sheppick hopes also that switching from a 4-2-3-1 formation to a 4-3-3 will help give the Wildcats the scoring opportunities that they need. "We'll have three strikers that will be involved all the time," Sheppick said. It's a lot of pressure on our mids, but they're all returning players (although I've got one freshman in there). Karina (Borgen) is in the midfield. So the pressure is going to be on those three center-mids to kill the middle of the field and to distribute up top." There will be six team captains, with senior midfielder Marri McCallum, senior defender Jillian Greene, McNamee, Ricketts, junior midfielder Camryn Pettenger-Willey and junior midfielder Kylie Aube taking point in leadership positions. Sheppick had understandable reasoning for appointing so many team captains for this year's squad. "The four seniors are returning from last year, and they were great leaders last year, so it's kind of their team," Sheppick said. "I put in the other two because they're both great talkers, great communicators, great midfielders. So basically they're our captains for the midfield, and the seniors, it's their team. The two midfielders will be ready for next year." The team will need to overcome players who are questionable or removed from play due to injury. Seniors Lauren Dean and Riley Breshears will be out due to ACL injuries, and the team will need to keep the remaining athletes healthy if capturing a top spot in league is the end goal. According to Sheppick, it's not unreasonable to expect success. "We have to stay healthy obviously, we have to make sure we all buy into each other as a unit and not individually," Sheppick said. "If all of those things come together, there's not a reason why we can't be competitive enough to win the league. I would be disappointed if we weren't in the top three." There will be tough competition in league this year though. With last year's NWOC champion Sandy having the left the conference, and former 4A school Scappoose coming up, the top is open for grabs. With Milwaukie and Hillsboro both only having one loss in league, and Scappoose going unbeaten in league at the 4A level, Wilsonville has its work cut out for it. The tough competition though hasn't dampened anyone's spirits. If anything, it's motivating the team to play harder, according to their coach. "Everybody is really excited," Sheppick said. "It's a matter of keeping them on an even keel. We can't be too high or too low. We have to find that happy medium, and get into things." While the Wildcats dropped the season opener to Bend 6-2, they looked to rebound against West Salem Friday, August 31 after the Spokesman went to press.